The Conference organized by EDU-SYRIA Program, funded by the Europian Union’s Regional Trust Fund in Response to the Syrian Crisis, the ‘Madad’ Fund, and implemented by the German Jordanian University, in cooperation with the GIZ (German Agency for International Cooperation) Project “New Perspectives through Academic Education and Training for young Syrians and Jordanians”, funded by the German Federal Ministry for Economic Cooperation and Development, and under the Patronage of H.E. Minister of Higher Education and Scientific Research in Jordan. The conference main goal is to address the importance of higher education scholarships in helping refugees to overcome the unfortunate repercussions the crisis has imposed on them, and in assisting them to become inspiring individuals that will succeed in rebuilding Syria and their host communities. The conference discussed Syrian refugee youth higher education and work opportunities, needs and obstacles they face in Jordan. Moreover, it highlighted the factors and enablers to help Syrian youth to start over in Syria. 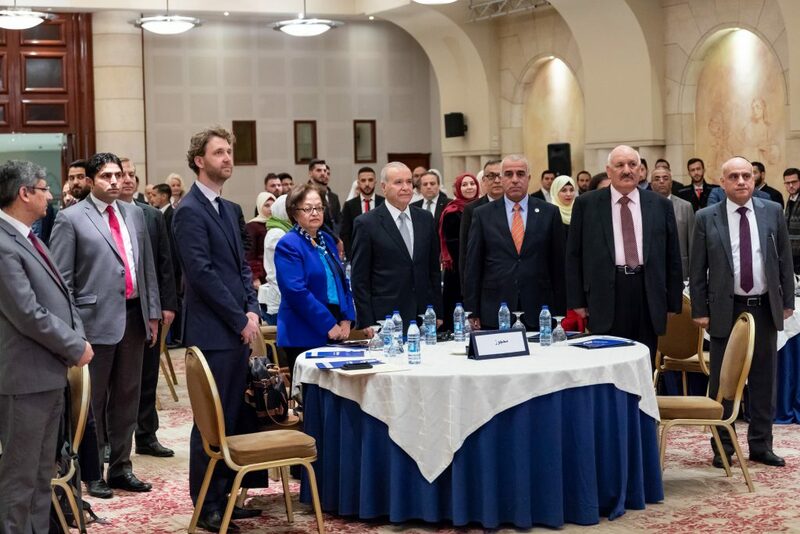 This Conference was a result of several workshops for Syrian students held at Zarqa University, Luminus Technical University College, Zaatari Camp and German Jordanian University from 10-14 February 2019. Hence, these conclusions and recommendations have been agreed upon by the Syrian student participants at the conference, and they serve as a message from the Syrian Youth to policy and decision makers, to take into consideration when creating fund programs and donation projects. Dr. Rawan W. Ibrahim is an Assistant Professor at the Department of Social Work in the German Jordanian University. Her specialization lies in the field of child protection and alternative care. Her career began in residential care for severely abused children in Jordan. 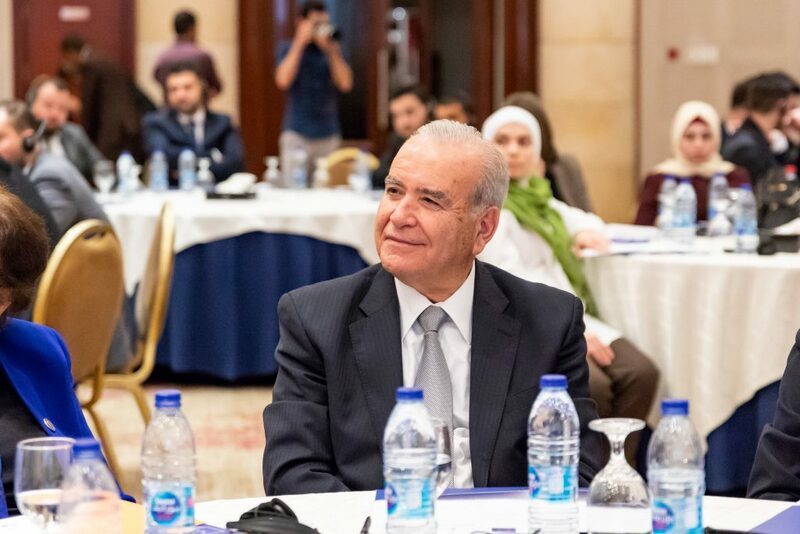 Dr. Ibrahim consults for the UNICEF Jordan Country Office, as well as other local and international organizations such as in Nothern Iraq, Indonesia and Morocco on areas along the continuum of alternative care. 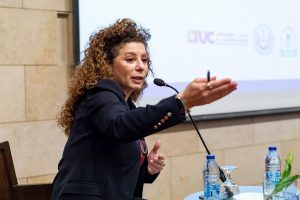 She has been a member of the International Research Network on Transitions to Adulthood from Care (INTRAC) since 2006, and was recently re-elected to continue to be part of INTRAC’s executive committee. She was also invited to be a member of the International Advisory Board at the Institute for Inspiring Children’s Future in the University of Strathclyde. Mohammad is Syrian from Damascus, who holds a Bachelor degree in Business Administration. 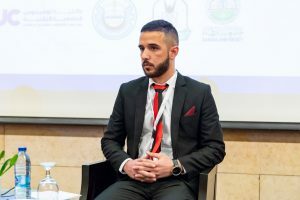 He received a scholarship from EDU-SYRIA programme to study for a master’s degree in Social Work Migration and Refugees at the German Jordanian University. 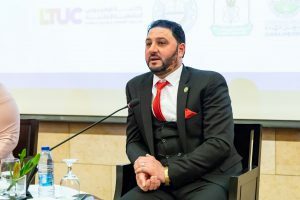 For he has more than 10 years of experience in community and business development projects, he is the secretary-General in a National NGO in Jordan (JCI – Junior Chamber International Jordan). Bushra is a Syrian student who holds a Bachelor’s Degree in French Literature. 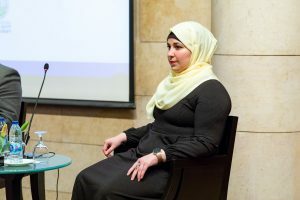 Bushra received the EDU-SYRIA scholarship to complete her Master’s Degree in Social Work for Migration and Refugees at the German Jordanian University. She worked as a translator with several journalists, both inside and outside refugee camps in Jordan, including journalists from France 24. She is also a social activist for women empowerment who truly believes in equal opportunity for all. 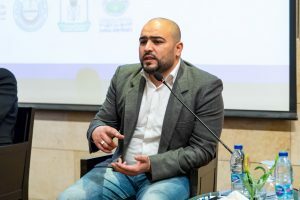 Raed Sawalha is working as the youth program manager for NRC Jordan, Raed received his degree in Industrial engineering from the University of Jordan in 2009, he moved between jobs in the private sector for a year before moving to NGOs when he joined Jordan education initiative in 2010. Late 2012, Raed joined NRC and started his career in the humanitarian sector working mainly on youth education and empowerment programs. Omar is a Syrian computer Engineer. When he came to Jordan in 2013, he worked in different low profile jobs to pay for his bachelor studies tuition fees. After hid graduation in 2015, Omar volunteered in several humanitarian organizations. 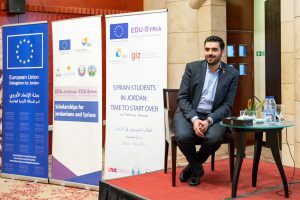 To be more effective in voluntary work and helping his community, Omar got a social work diploma from the German Jordanian University in 2017. 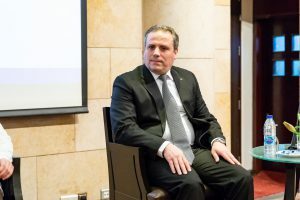 Currently, he is a Master student majoring in computer engineering at the German Jordanian University, as he received a Scholarship from DAAD (German Academic Exchange Service). Omar is also a physics teacher volunteer for refugees in Syrian across borders organization. Nada is a Syrian mathematician. She completed three years at Damascus University, Faculty of Science, Mathematics Department before she fled to Jordan in 2012. 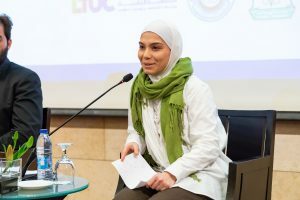 She received a scholarship at the University of Jordan in 2013, to complete her interrupted study from DAFI program funded by Albert Einstein’s organization. 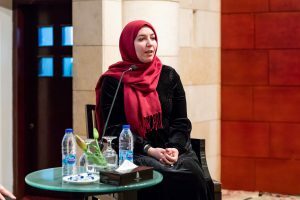 She and her husband were trying to seek refuge in Germany, until she received a scholarship from GIZ-JOSY (German Society for International Cooperation) for master studies in the University of Jordan. She graduated in 2017, with an excellent GPA. Nada volunteered with several organizations like Tkiyet Um Ali, Helping Refugees in Jordan (HRJ), and UNICEF. 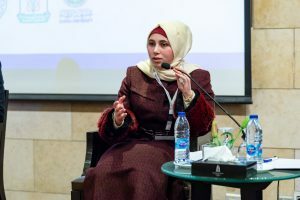 She worked on a consultancy basis for short-term contracts, at GIZ-JOSY office, KIRON Open Higher Education for Refugees, and currently as a research assistant at GIZ-Psychosocial Support and Trauma Work in Jordan. A Syrian student who holds a Diploma in human recourses. After the war rose up in Syria, she moved to Jordan in 2012 to complete her studies. After 4 years of searching for an opportunity, she received a scholarship from EDU-SYRIA to study at Luminous Technical University College. Hamed is a Syrian student living in the Zaatari Refugee Camp. Hamed was studying Chemistry in his 4th year at Furat University, Syria when the conflict started. Consequently, he was forced to migrate to Jordan with his wife and daughter before graduating. 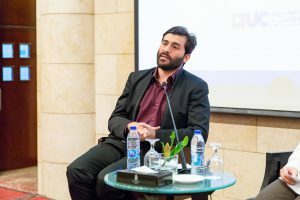 In 2016, he received the EDU-SYRIA scholarship to complete his interrupted studies for a Bachelor’s Degree in Applied Medical Sciences at Zarqa University. While living in the Zaatari Refugee Camp, Hamed volunteered with many international organizations’ medical staff and hospitals. Hamed is currently working at Zaatri Hospital. An EDU-SYRIA scholarship graduate from Zarqa University, with an excellent average (92.5) in Arabic literature major. Before her graduation, this year, she was an active student in the cultural club at the university, in addition to her voluntary work in helping her fellow students; explaining classes through a Facebook group. 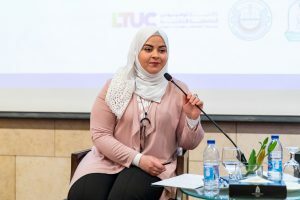 Roudana is a Jordanian student who holds a Bachelor’s Degree in Translation, Rudana received the EDU-SYRIA scholarship to complete her Master’s Degree in Translation and Interpretation at Yarmouk University. Rudana volunteered in several local and international organizations, both inside and outside Jordan, and worked on a few art exhibitions in Jordan. A Syrian student from Damascus. Nour has been living in Jordan since 2013. 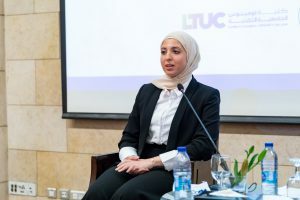 After obtaining her Jordanian High School Certificate, she received the EDU-SYRIA scholarship to study for a Vocational Training Diploma at Luminus Technical University College, majoring in Civil Engineering. Nour believes vocational training degrees are very important for Syrian youth at this time, as they take shorter periods of time to complete, equipping graduates for the workforce faster than a Bachelor’s Degree. Nour also volunteers with local organizations that specialize in children and women protection from violence programs. 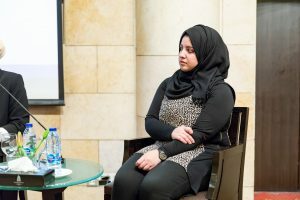 Fatima is a Syrian student who received EDU-SYRIA scholarship to study for a bachelor degree in pharmacy at Zarqa University. She believes in the importance of pharmaceutical development and entrepreneurship for the development of people and countries. Mohammed is a Syrian student who left Syria in 2012 when the conflict began and now lives in Jordan. He received a scholarship from EDU-SYRIA program to study graphic design and multimedia at Luminus Technical University College. 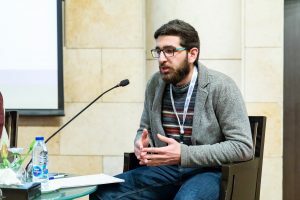 After his graduation beginning this year, he became volunteer in “Dubarah” global network that bridges Syrian refugees problems with solutions. Mohammed believes in the importance of business incubators and entrepreneurship for the Syrians refugees. An EDU-SYRIA Graduate. Holds a Bachelor degree in Accounting from Zarqa University.An active volunteer with local organizations such as Islamic Relief, and Syrian students in Jordan Association. Ibrahim believes in the importance of education in building nations and civilizations. Osama was in his 3rd year studying Applied Chemistry at Damascus University when he was forced to leave Syria due to the conflict. After 4 years in Jordan, he received a scholarship from EDU-SYRIA to study Pharmacy at Zarqa University. Osama is also an active volunteer. The conference had four main sessions; each of them addressed an important aspect related to the Syrian crises. In what follows, a summary of the main outcomes of each session is provided. Or download the document here. 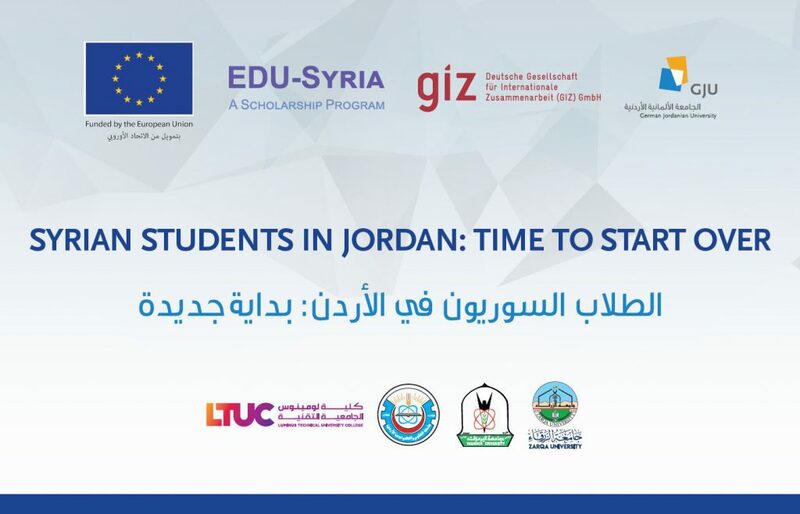 1.Recognize the significance of scholarship programs funded by The European Union and the German Agency for International Cooperation (GIZ) in supporting the education of Syrian refugees in Jordan and vulnerable Jordanians in host communities. These programs preserve a secure future for the generation suffering from the Syrian crisis and its consequences. 2. Highlight the common problem that Syrian refugees in Jordan, who were already studying in higher education institutes in Syria, and not possessing an official transcript to accredit their disrupted studies in Syria. 3. Acknowledge the fact that medical studies scholarships (e.g. surgery, nursing, applied medical studies) are highly needed for Syrian youth to rebuild the country. 4. Encourage scholarship programs to provide sufficient monthly or per semester stipend and transportation allowance for students, as the majority of refugees are in poverty conditions. Those students also assist their families, and live in urban areas. 5. Emphasize that refugee students need English language courses, as the higher education system in Jordan main language is English, while most of them are weak in English since Arabic is the main language of the Syrian higher education system. 6. Recommend that refugee students in master studies need mentoring programs, either locally or internationally, to assist them in conducting researches hence improving their research capabilities and skills. 7. Strongly Advocate increasing the number of scholarships dedicated for Syrian refugees, as the number of refugees who need higher education is large in comparison to the available scholarships. This will shape a secure future for youth refugees and prevent them from becoming a lost generation. 8. Recommend removing any age limitation in the scholarship requirements for many refugee students. 9. Support different types of learning programs especially blended learning programs. 10. Encourage the provisioning of practical training for students before or after graduation, in cooperation with the private sector, to help them build experiences in their field of studies. This will produce qualified graduates to the job market. 1.Highlight the security risks and compulsory recruitment in military service that prevent the majority of the male refugee from going back to Syria. 2. Emphasize the need for safety and human rights assurance in Syria. 3. Acknowledge that the destroyed infrastructure in Syria is a concern. Actions should be taken to ensure the availability of basic needs such as universities, schools, medical centers, shops, hospitals, etc. 4. Assist the returning youth in finding job opportunities upon their return, especially that job opportunities in Syria are too little. 5. Encourage the humanitarian international organizations to support the psychological rehabilitation of the conflict victims. 1.Highlight the importance of vocational training and education, as it has short duration in comparison to the Bachelor degree. This enables graduates to join the labor market faster. 2. Promote entrepreneurship among Syrian graduates as an important and effective concept among young people in Jordan. 3. Encourage the support toward business incubators and entrepreneurship platforms, especially inside refugees’ camps, to enable the refugee youth to create their own business. 4. Urge donors to allocate part of the provided fund to support entrepreneurship and startups projects, as these projects provide income sources and secure job opportunities to both Jordanians and Syrians. This contributes toward solving the unemployment problem among the young generation. 5. Recognize that vocational education is not well accredited in the Syrian culture although it is highly significant to creating qualified workers. 1.Recognize the need of educated people to rebuild Syria. 2. Emphasize the necessity of restoring the destroyed infrastructure (hospitals, schools, universities) and provision of basic needs (e.g. electricity, water, utilities) for Syrians to be back. 3. Strongly advocate donors to support entrepreneurship and startup projects that can start their operations in Jordan and extend to Syria. 4. Acknowledge the cohesion of Jordanian and Syrian communities, as they have many similar aspects, and they face the same challenges. 5. 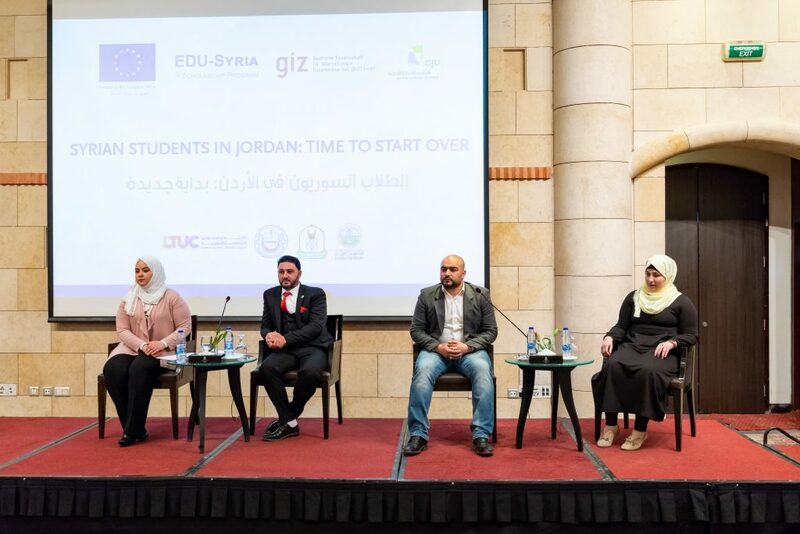 Acknowledge the successful integration of Syrian students in Jordanian educational institutes. 6. Urge the donors to support more Jordanian students from host communists, who are affected by the Syrian crises.